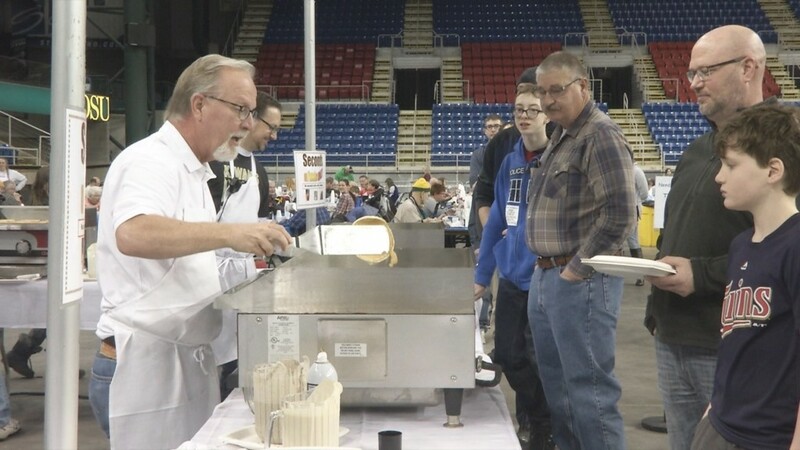 FARGO, N.D. — Thousands of people soaked up some flapjacks and maple syrup at the metro’s largest pancake party. At the 61st annual Fargo Kiwanis Pancake Karnival, people could fill up their plates with all the buttermilk and buckwheat pancakes they could eat. The festival has helped Fargo Kiwanis raise more than $750,000 to support nonprofits across the metro. Organizers say the carnival’s aims go hand–in–hand with their mission to help others. “We serve over 36,000 pancakes every year, there’s over 150 gallons of syrup that gets poured here every single year. It’s just so much fun out there, so it really feels good for all of us, and we’re proud Kiwanians,” said Erika Juelson of the Fargo Kiwanis. Organizers say they will start planning the sixty–annual installment of the Pancake Karnival tomorrow morning.